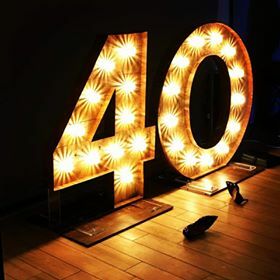 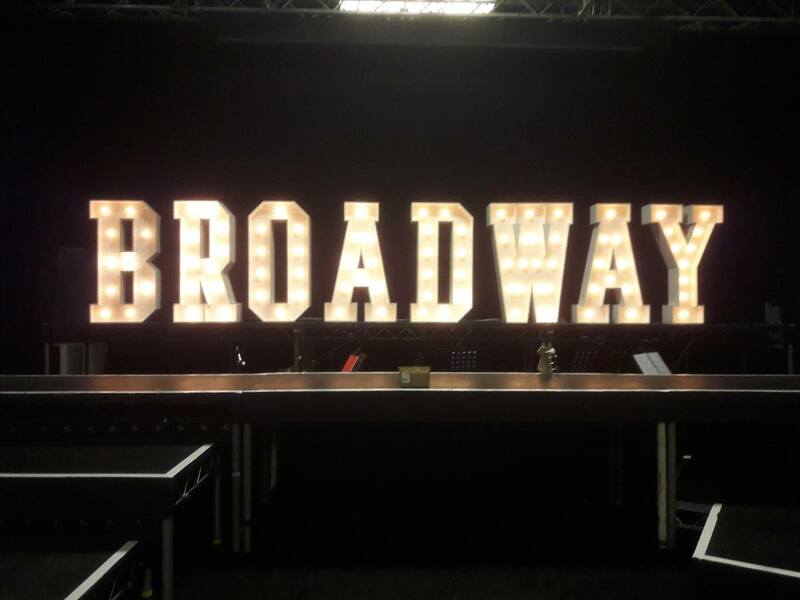 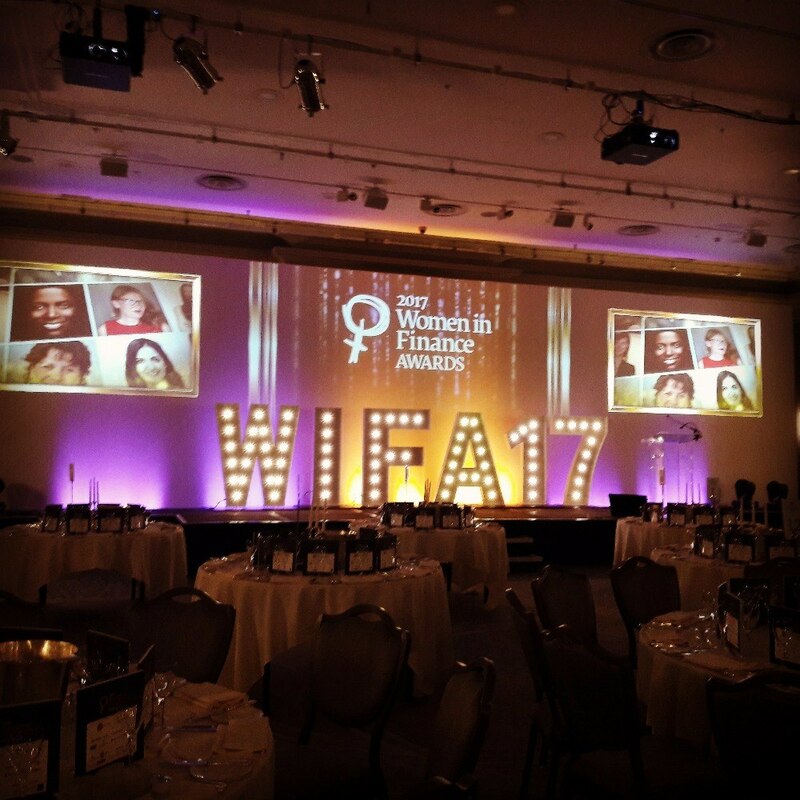 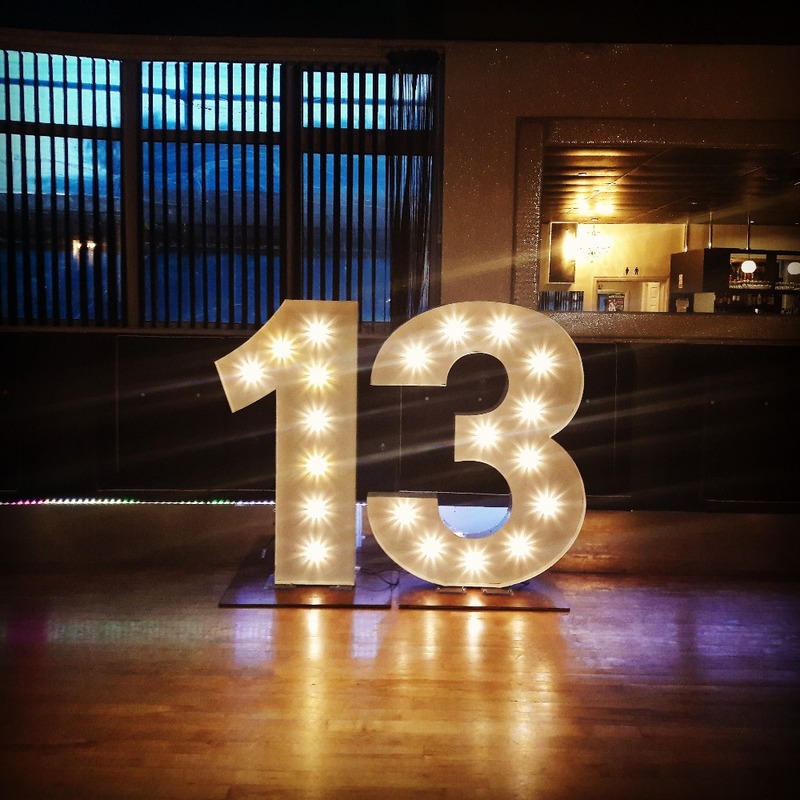 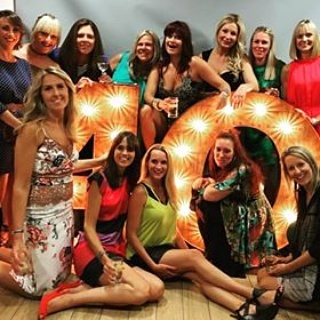 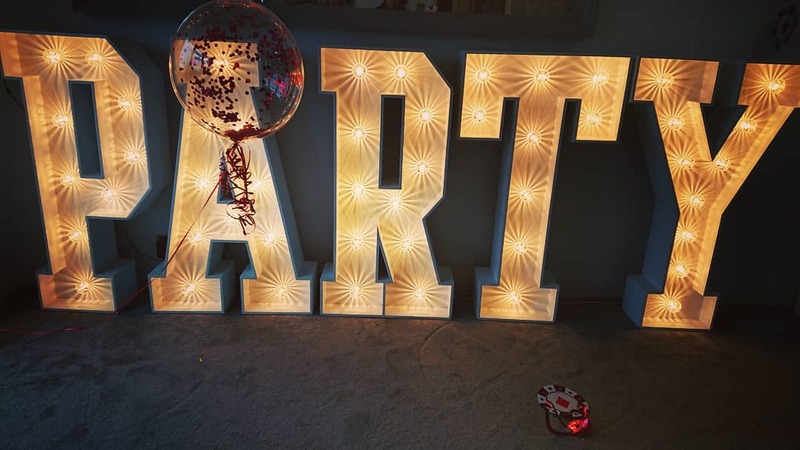 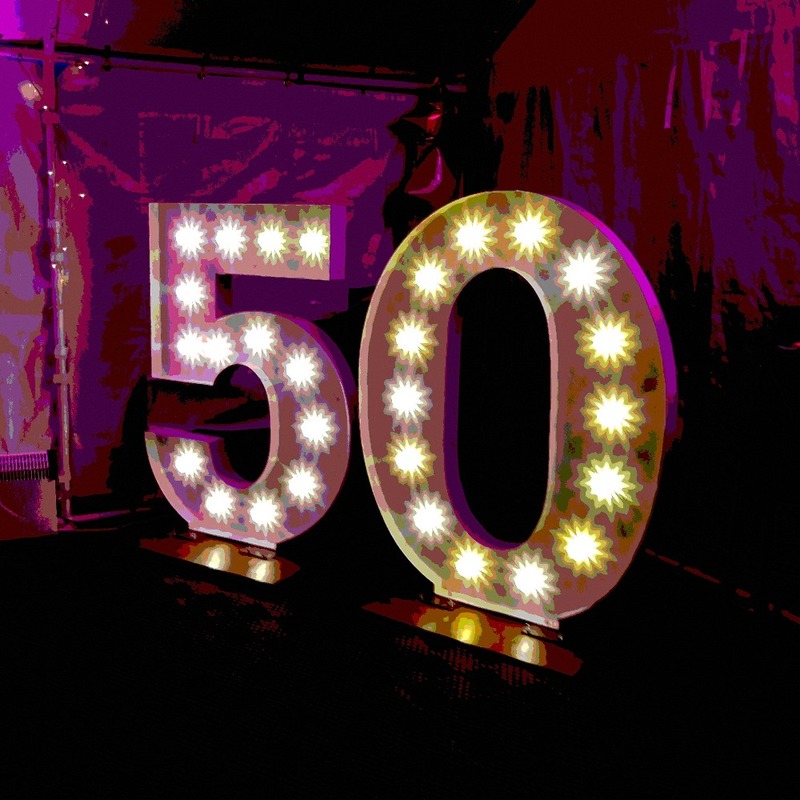 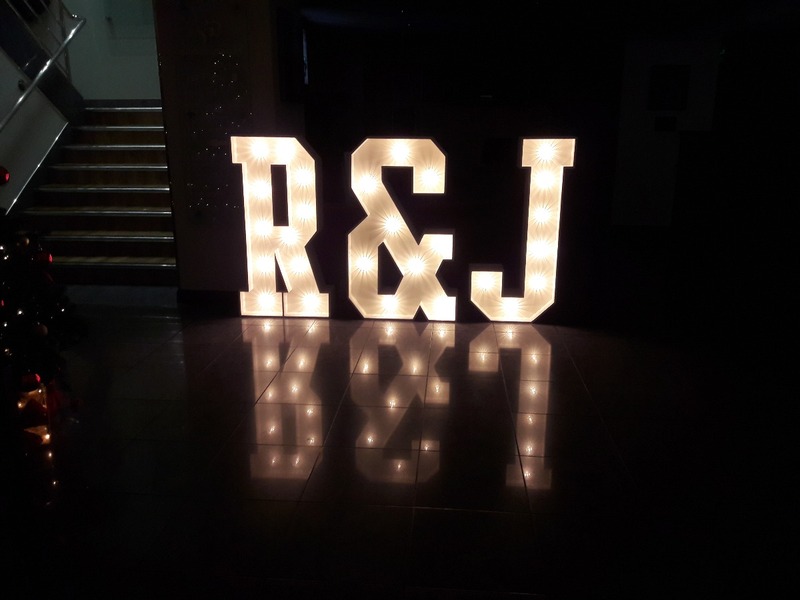 Light up your event with exceptional quality light up letters and numbers which will transform your event creating a beautiful focal point and backdrop to many stunning photos! 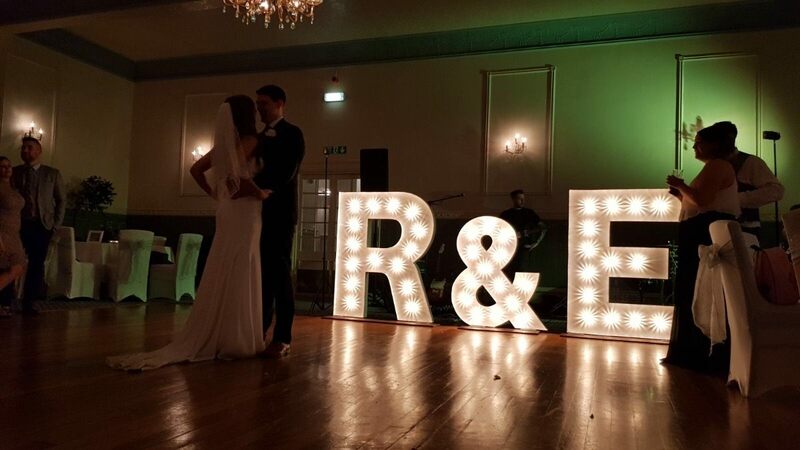 Choose from rustic vintage, intricate circus font, classic curvy whites and remote controlled colour changers. 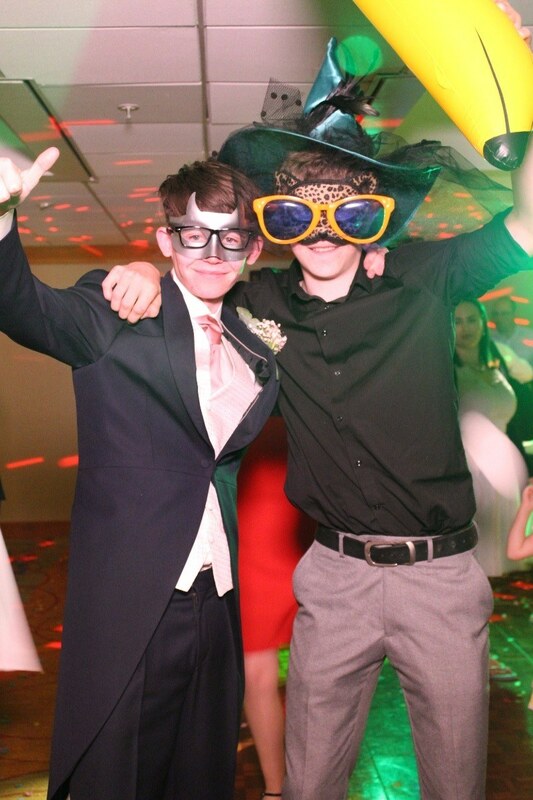 From 4ft tall to an amazing 7ft tall. 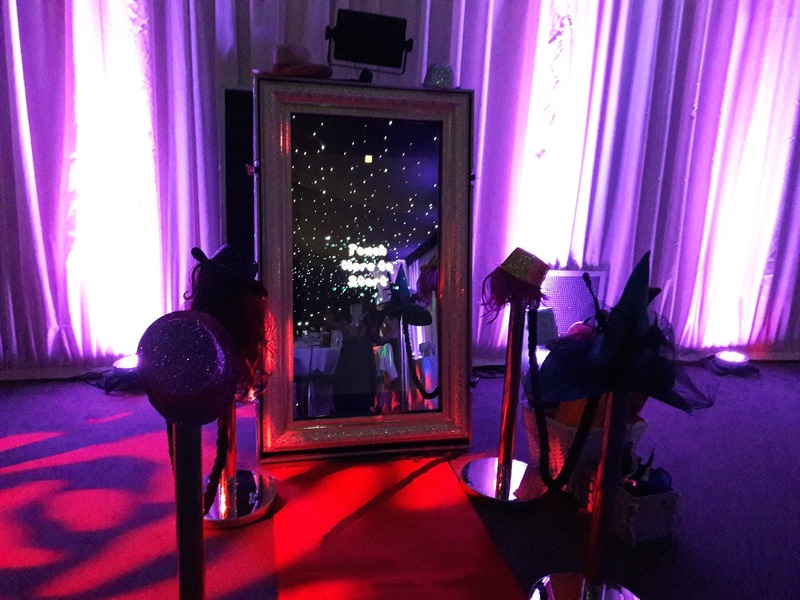 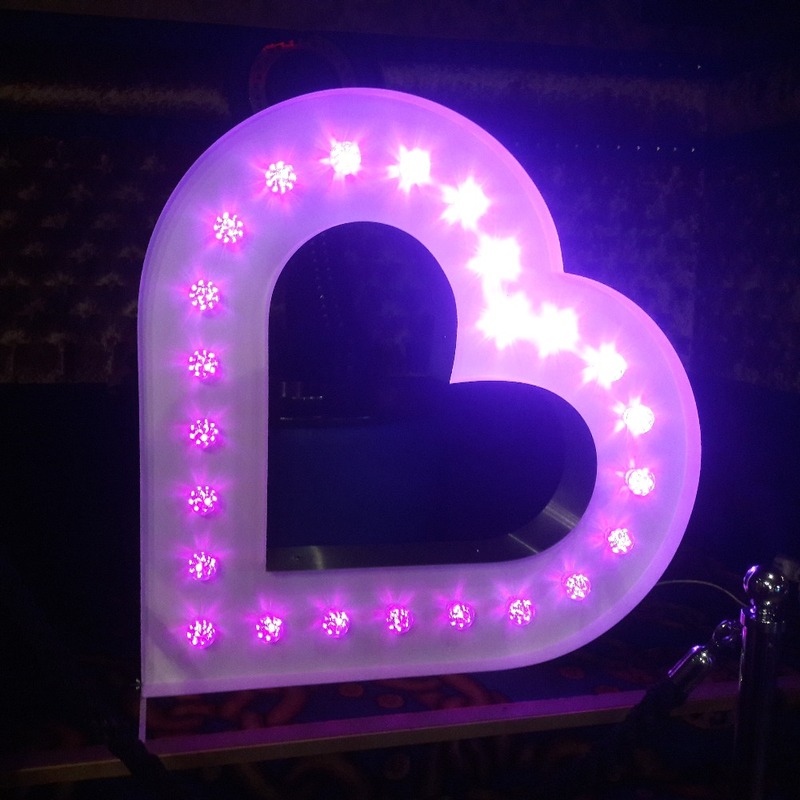 In addition to lights there are many add-ons including heart arch, heart lightbox and magic mirror photo booth. 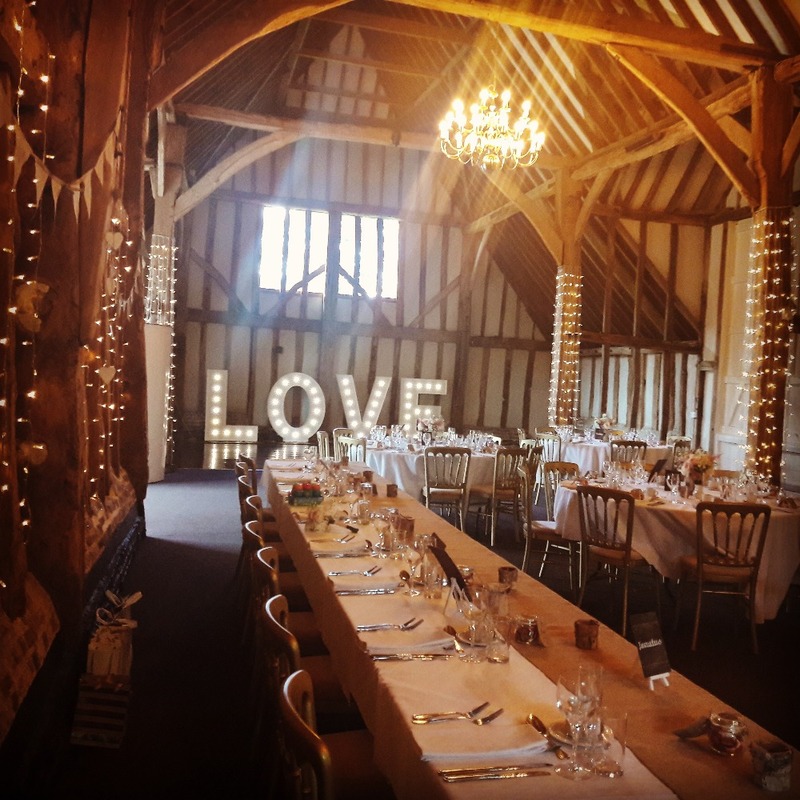 "Provided our fantastic PITT lights"
"We adored the lights, they really brought the barn to life!" 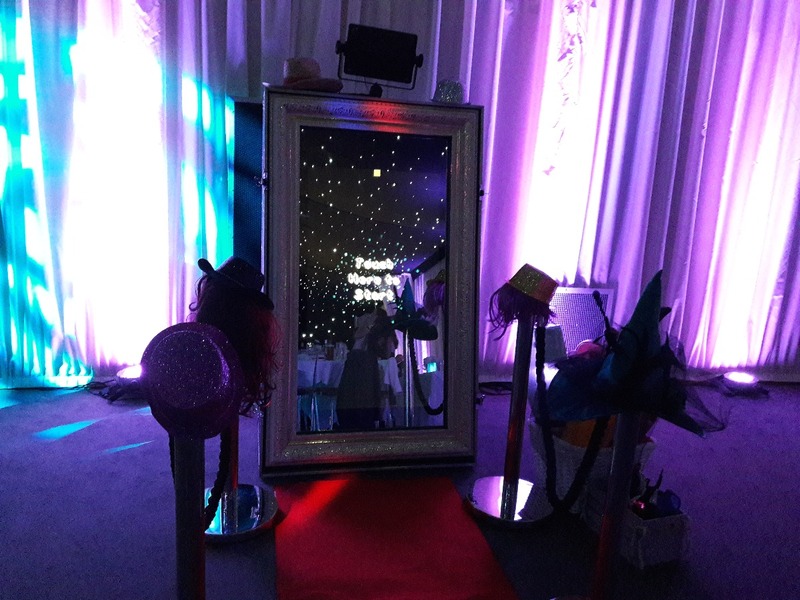 "Thank you so much for your magic mirror"
"We absolutely loved our letters and so did everyone else"
Thank you so so much. 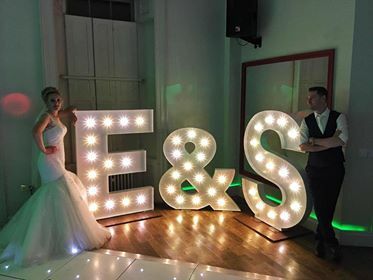 We absolutely loved our letters and so did everyone else. 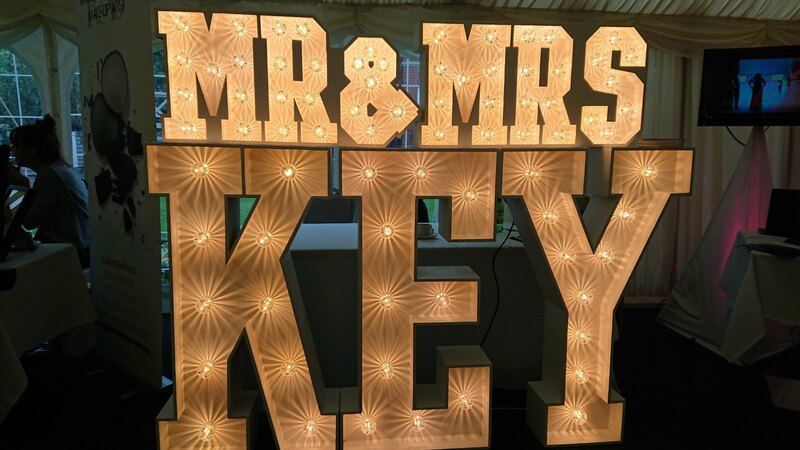 Highly recommend you guys. 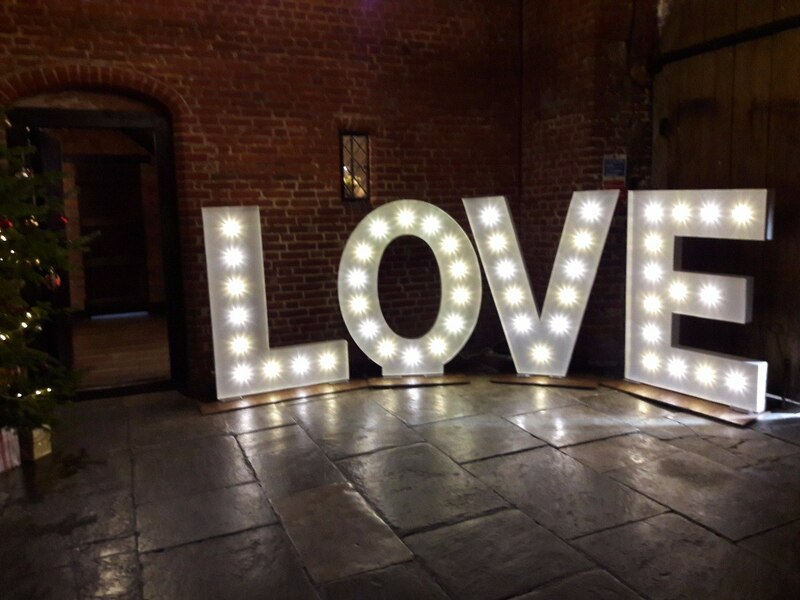 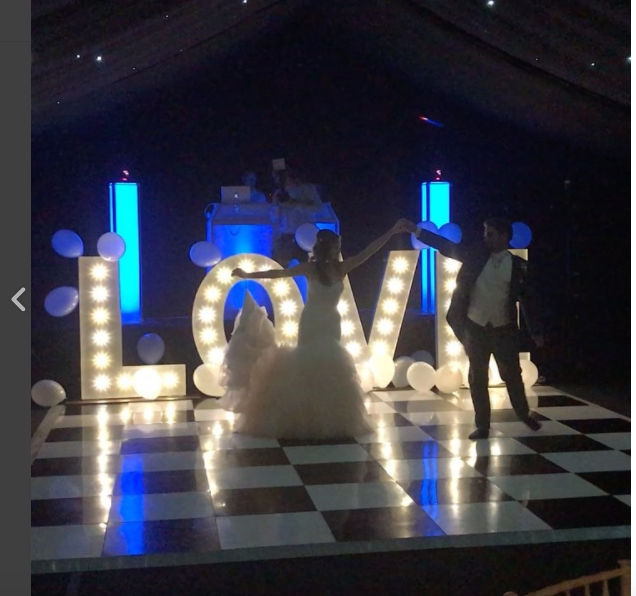 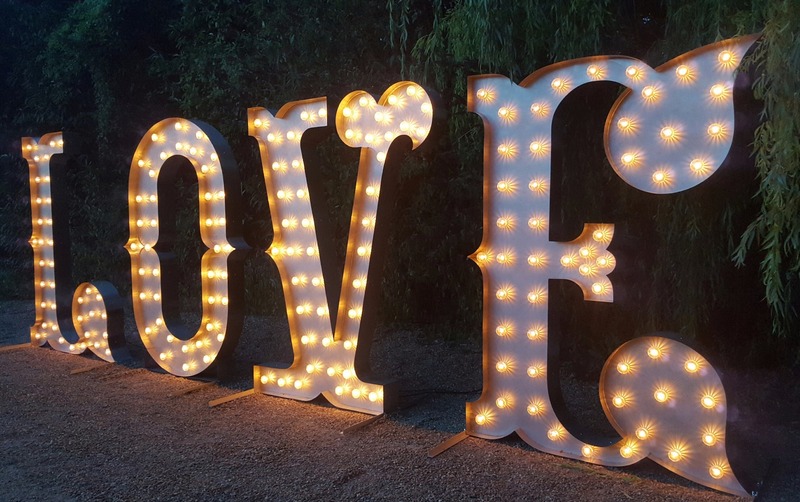 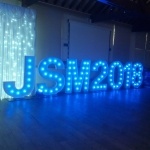 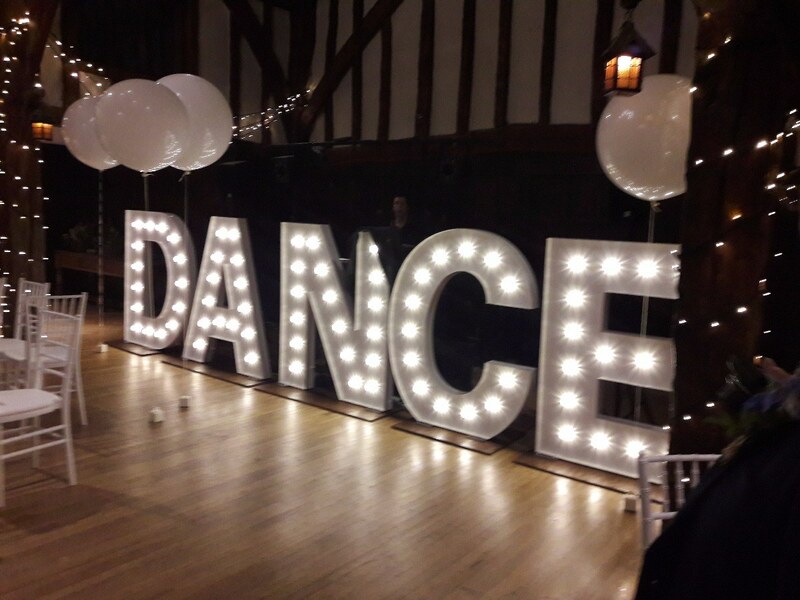 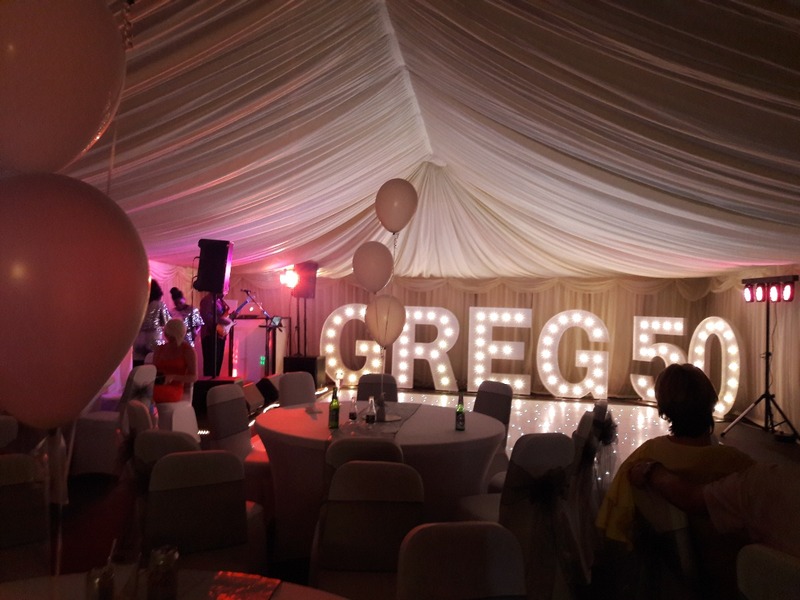 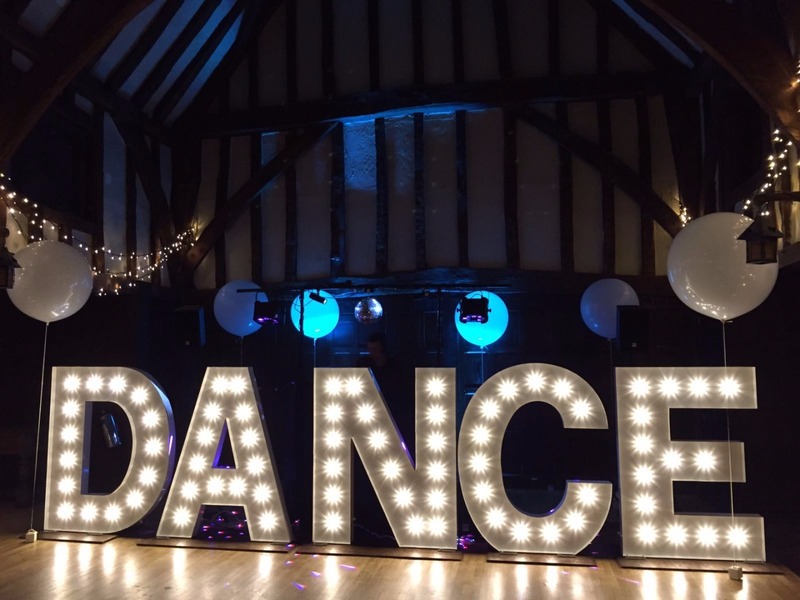 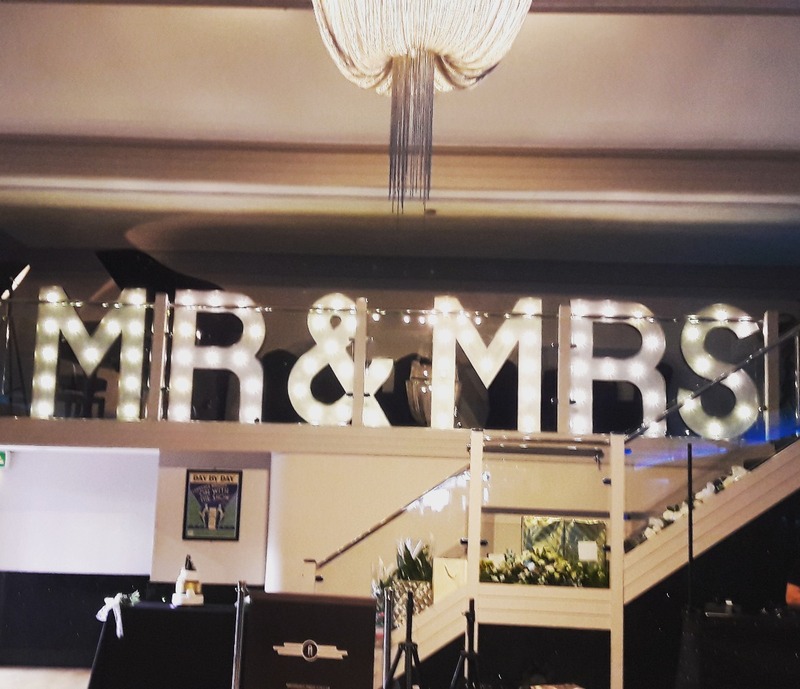 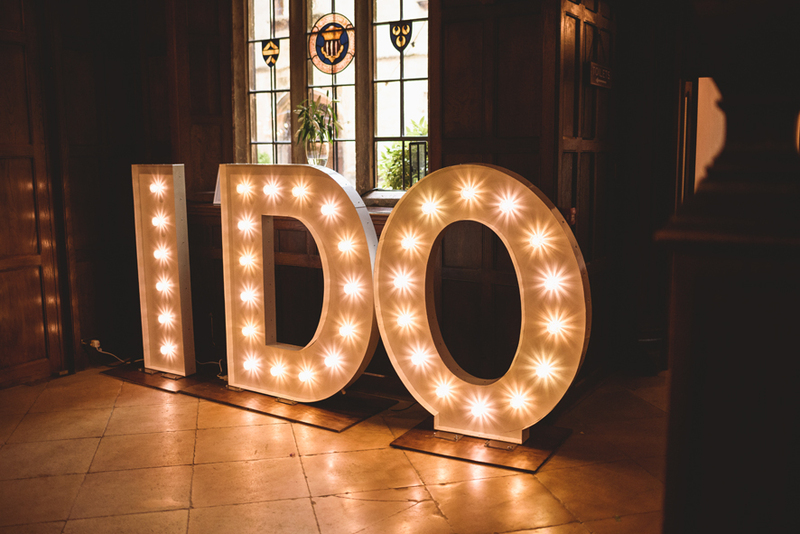 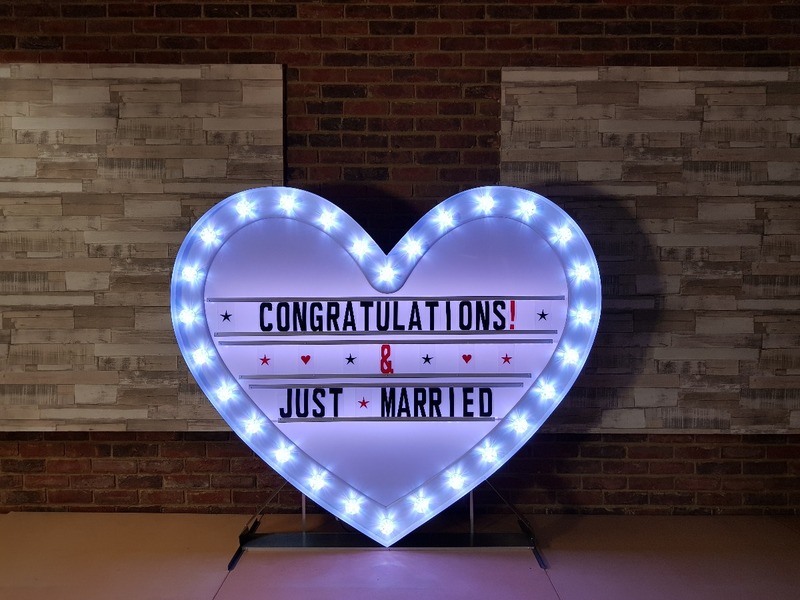 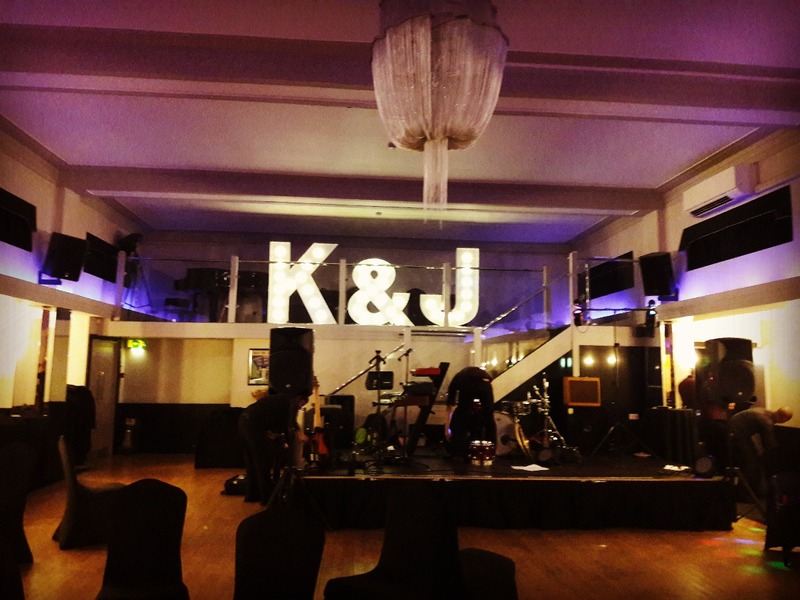 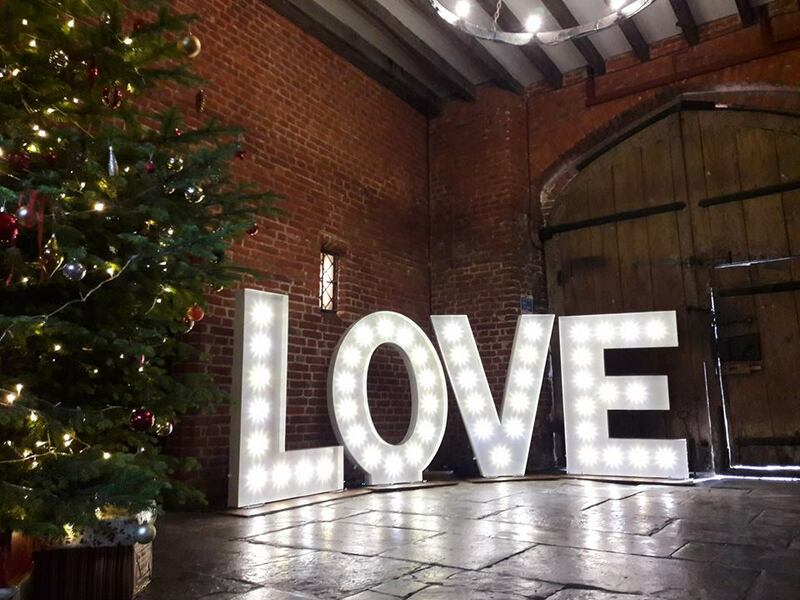 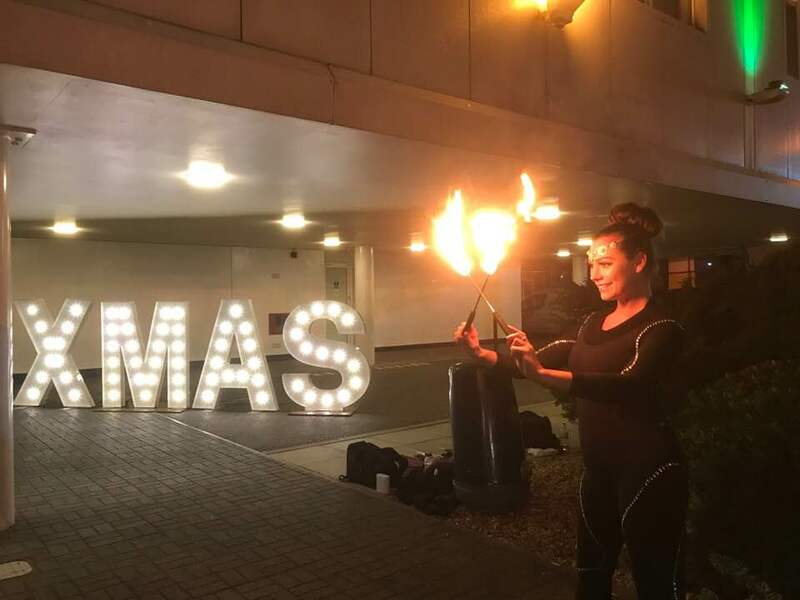 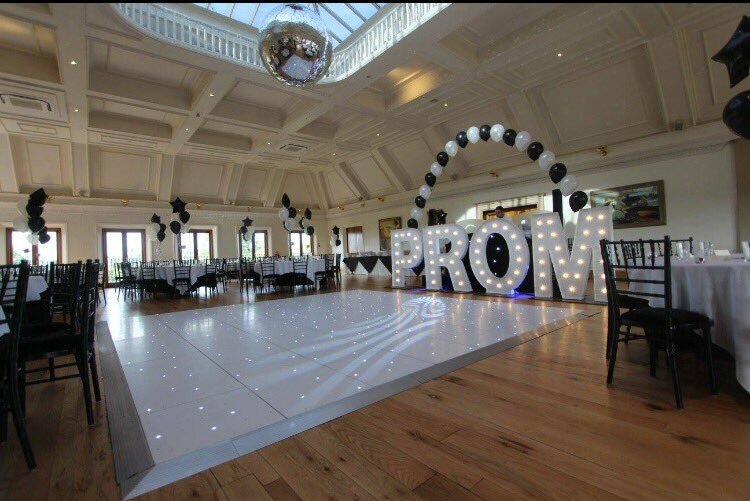 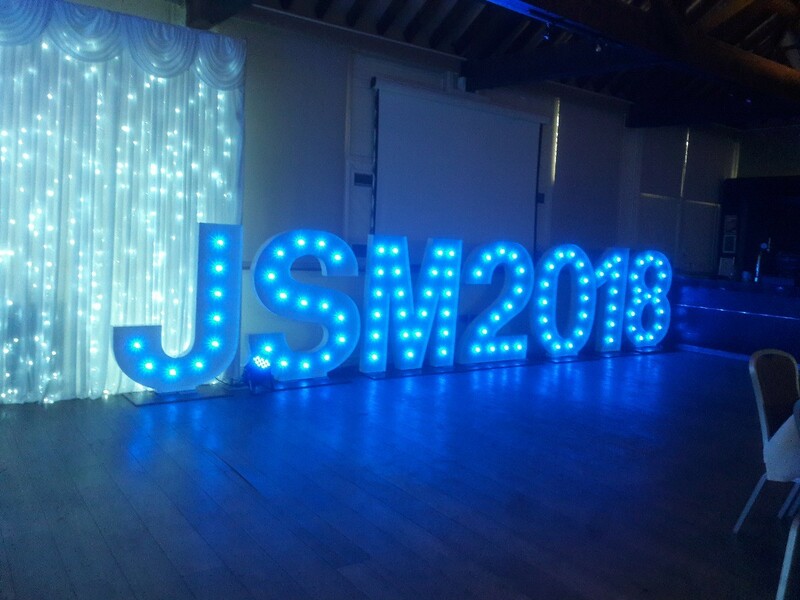 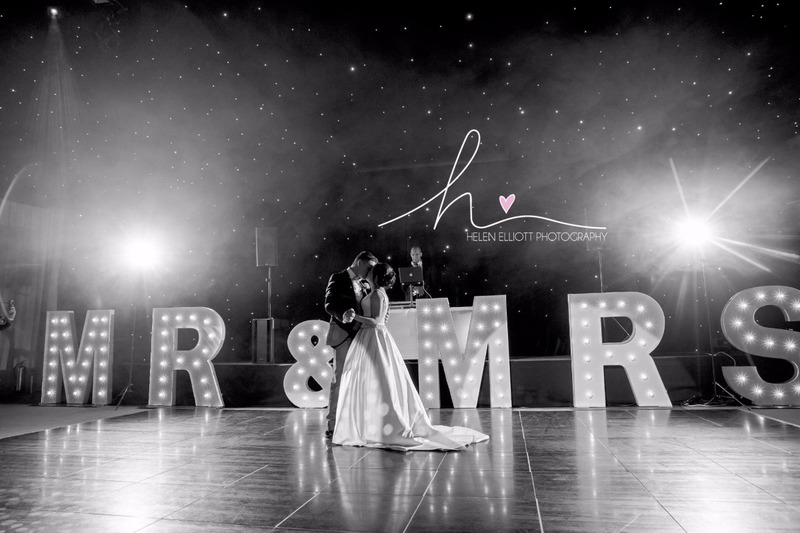 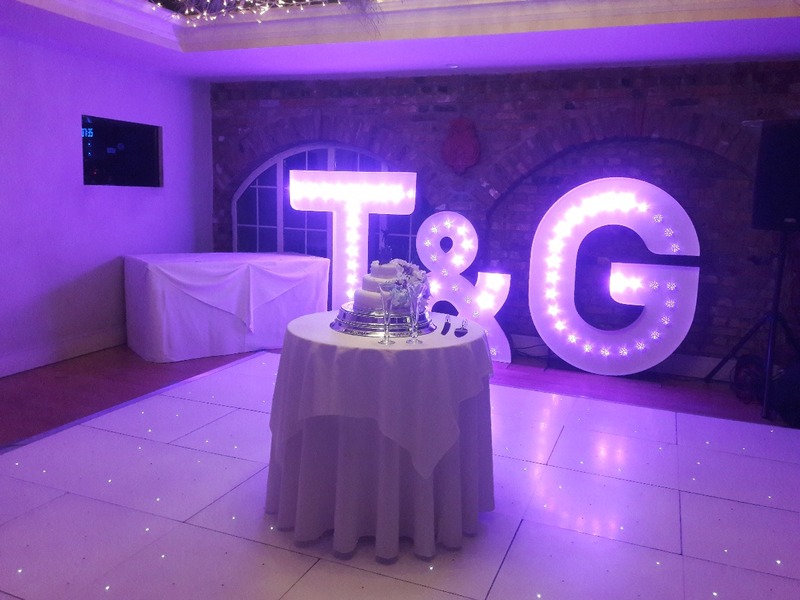 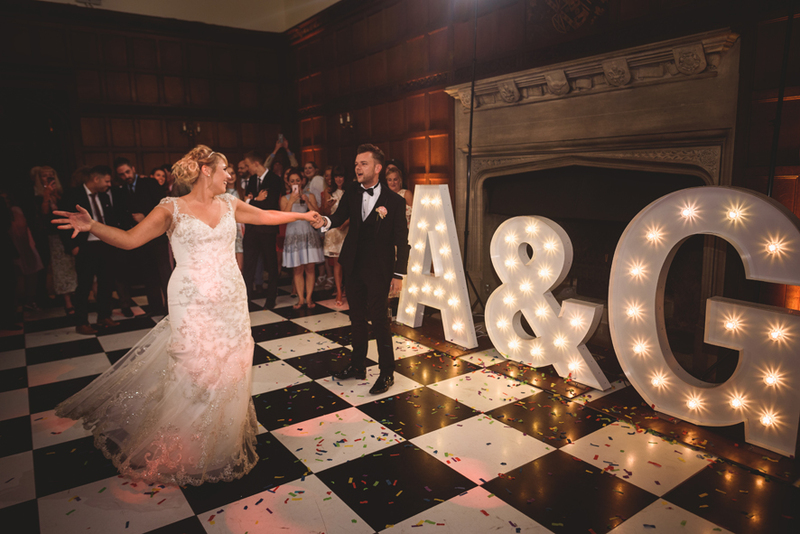 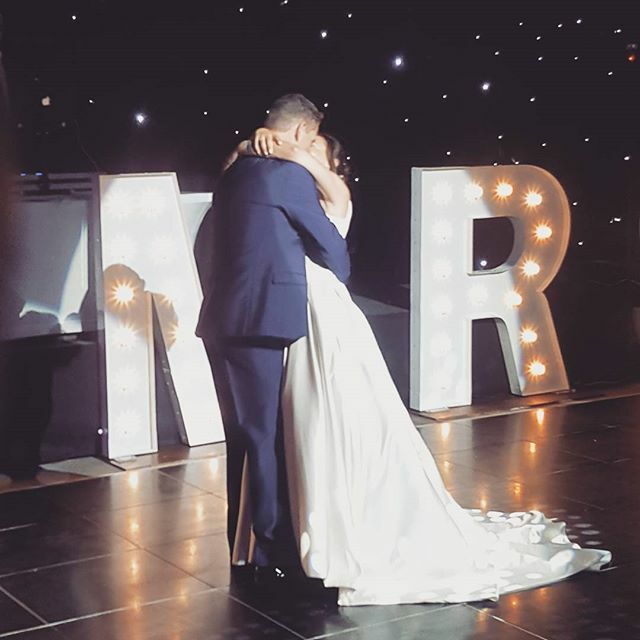 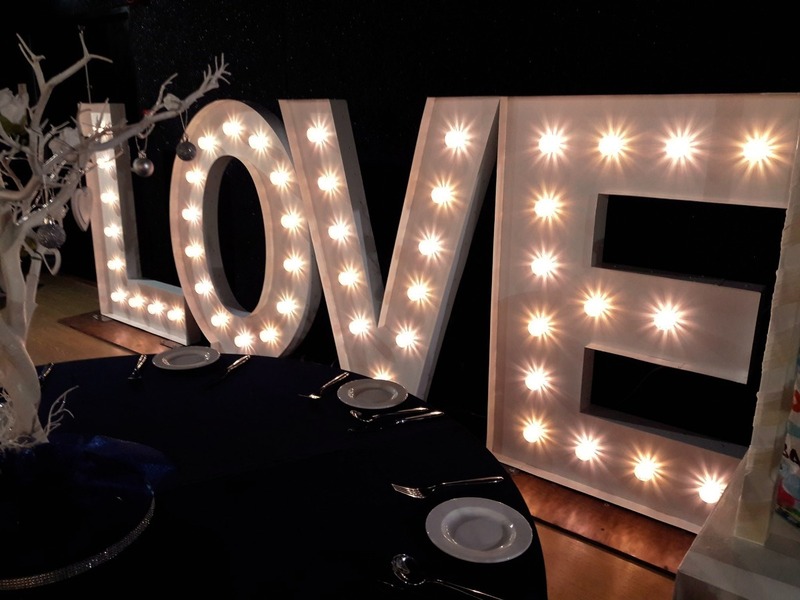 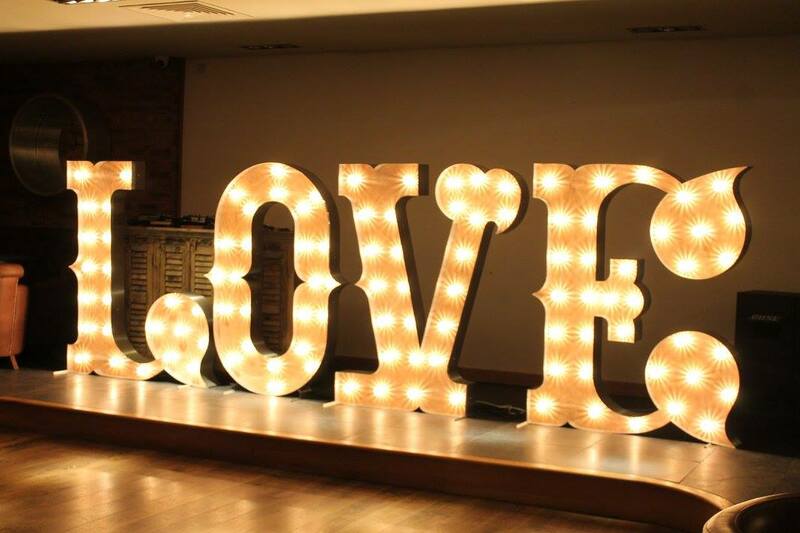 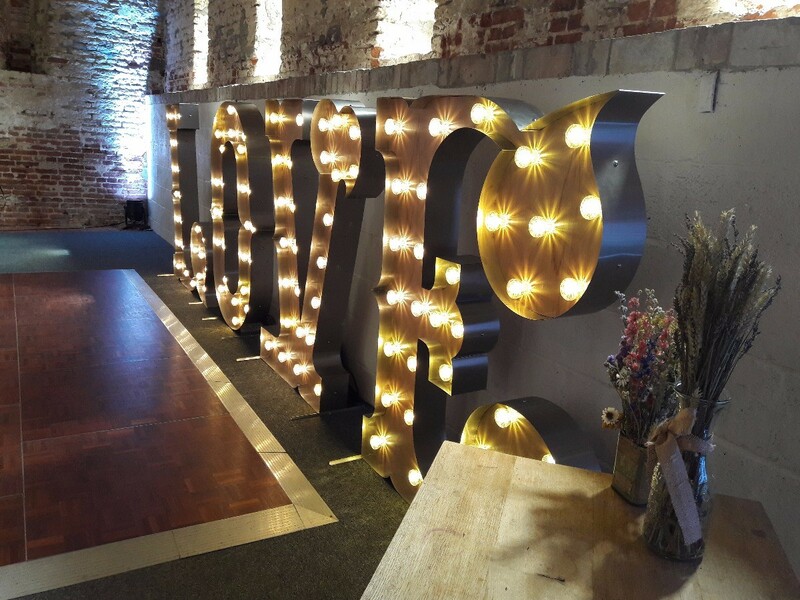 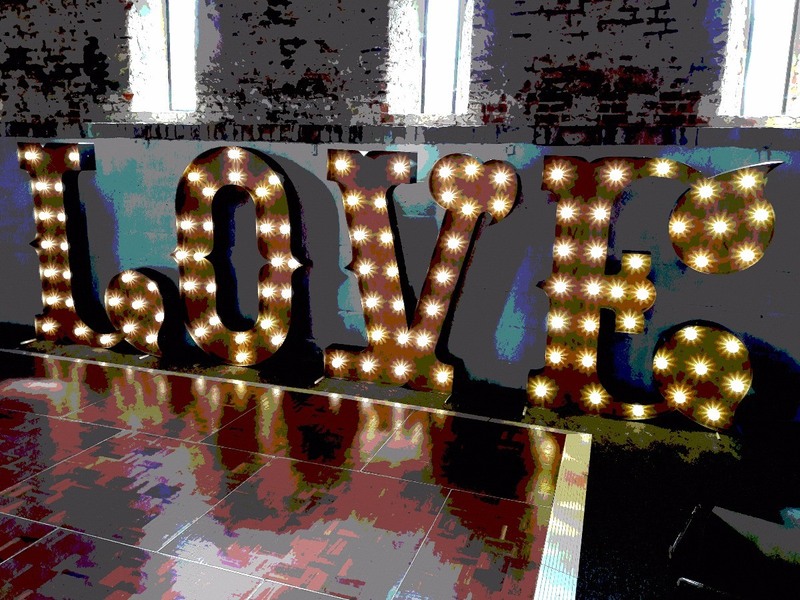 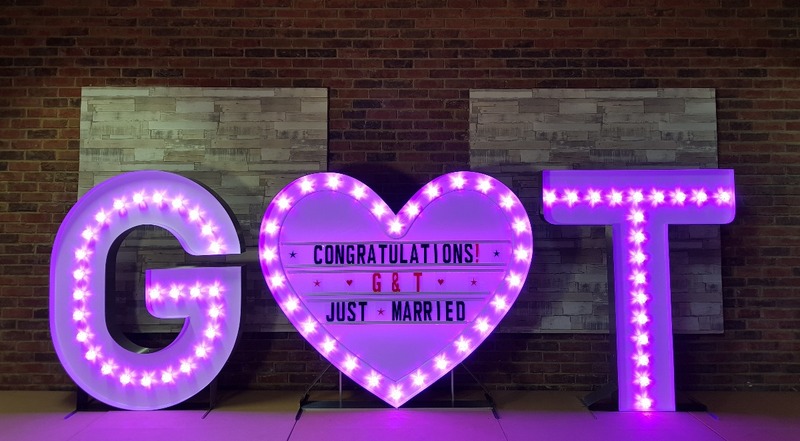 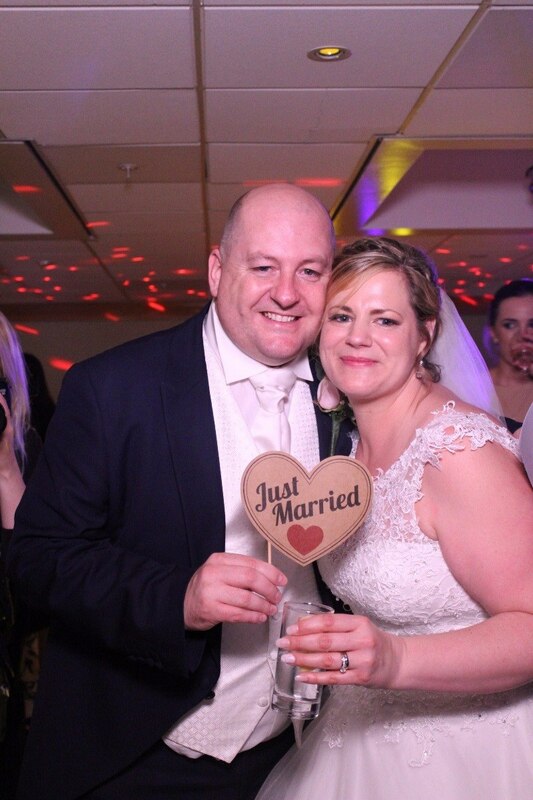 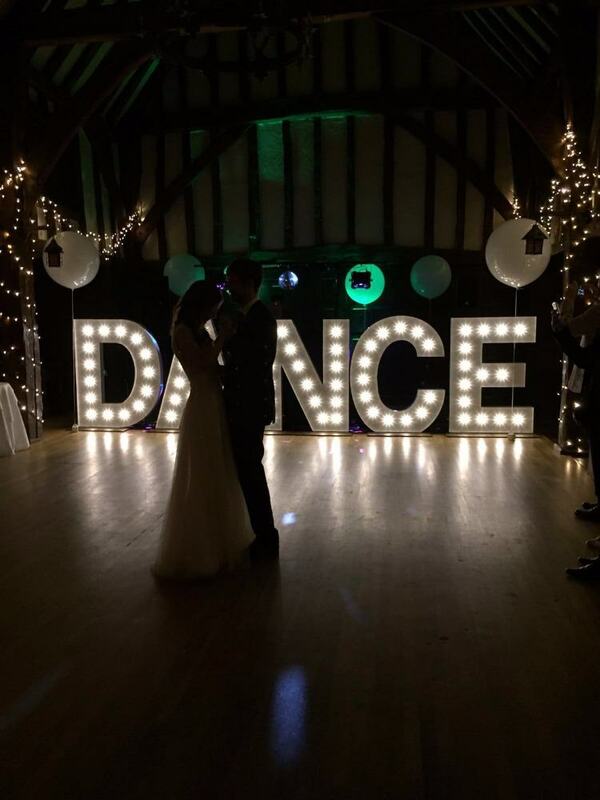 "Let There Be Light provided us with some amazing feature points for our wedding"
"Amazing - we were really impressed"
Range of options to suit your event from 3ft - 7ft letters! 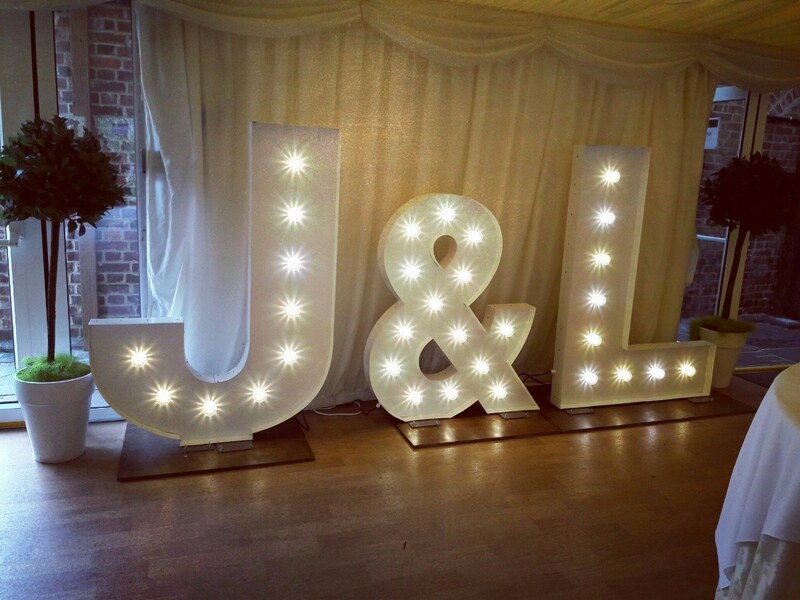 * Quality custom built letter lights! 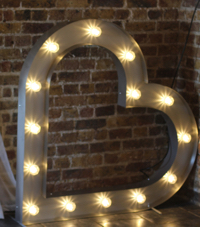 * Sizes range from 4ft tall to an industry leading 7ft tall! 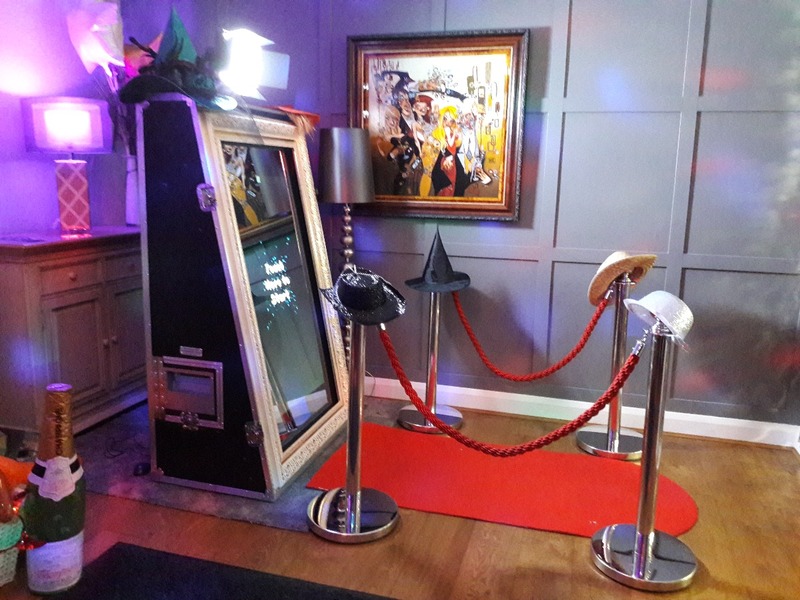 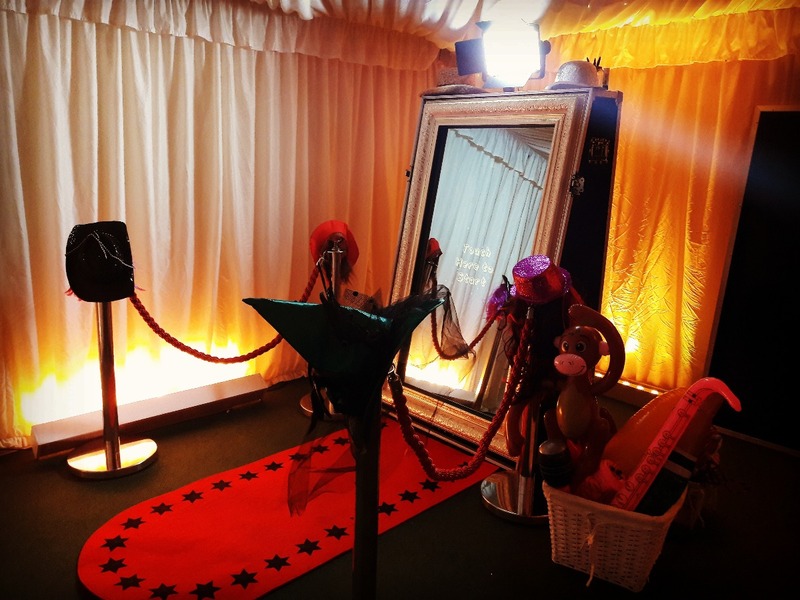  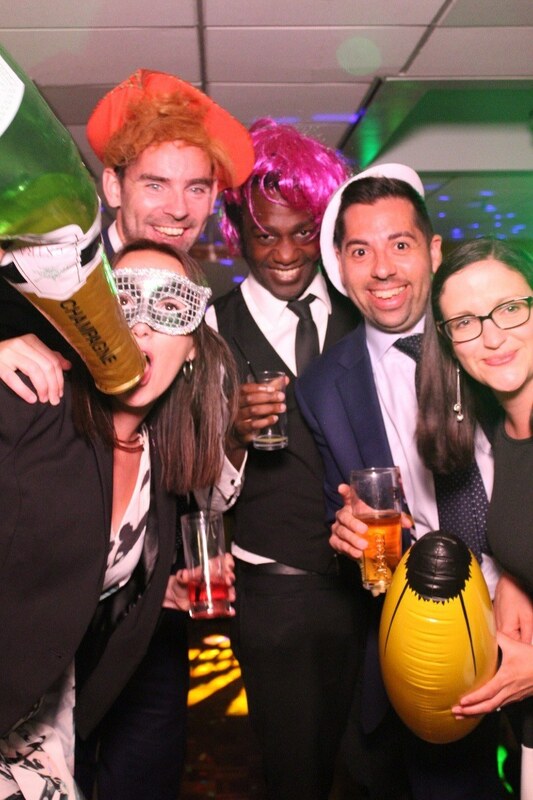 * Range of options to suit your event! 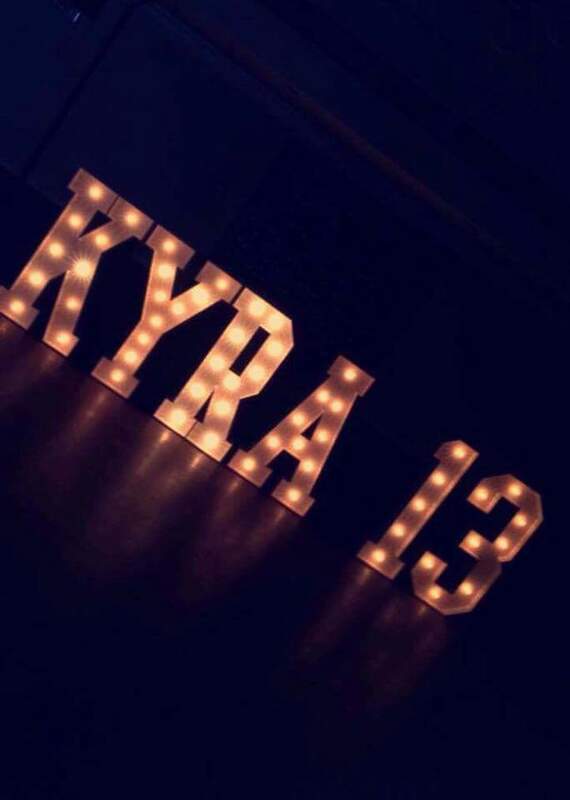 * Pink, red, purple or blue bulb colours available as well as standard white! 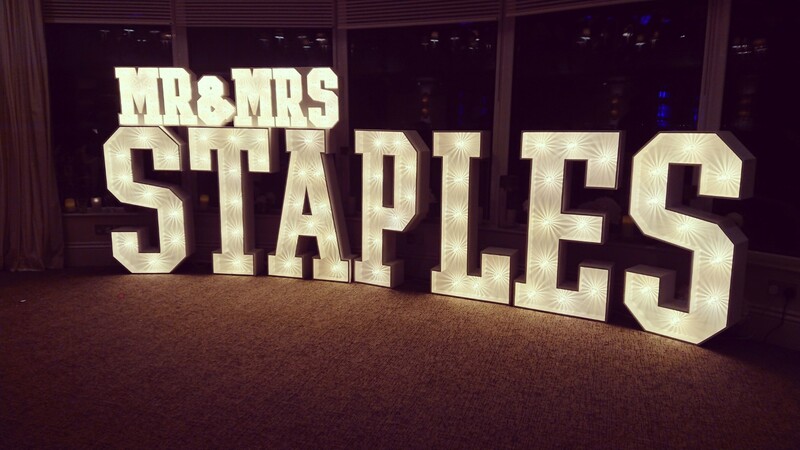 * Available throughout the UK! 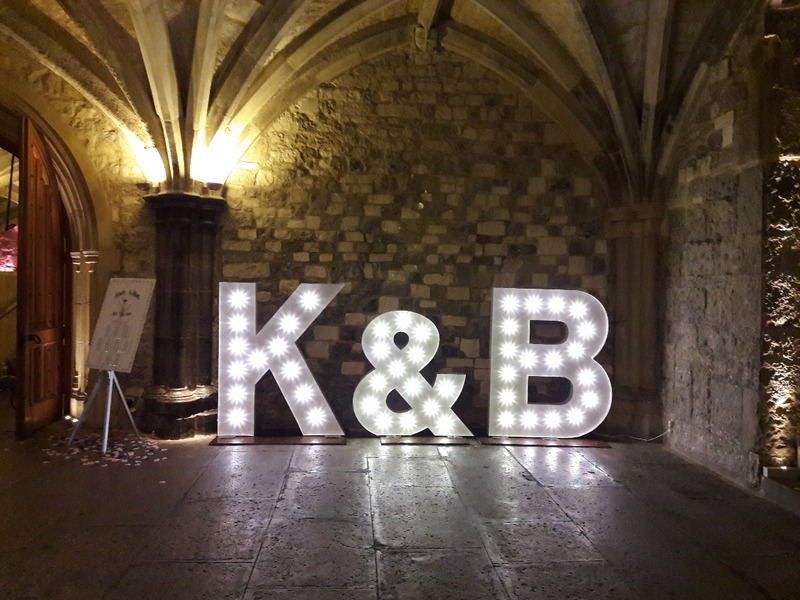 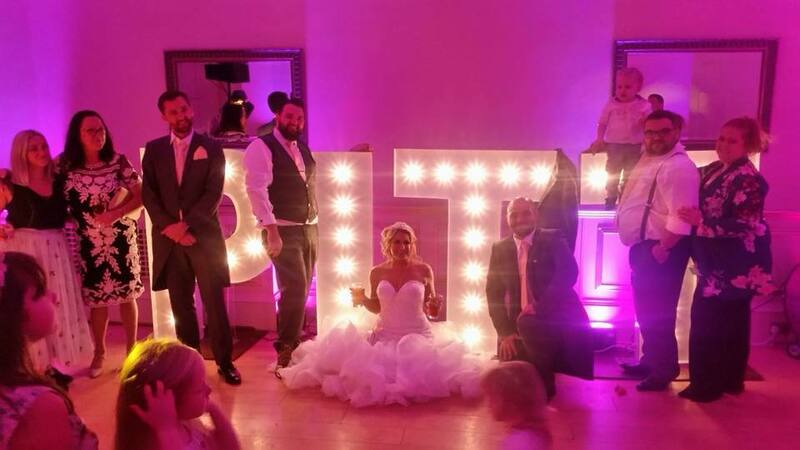 Let There Be Light provide custom built letter lights that will transform your venue creating a beautiful focus point and backdrop to many stunning photos of you and your guests. 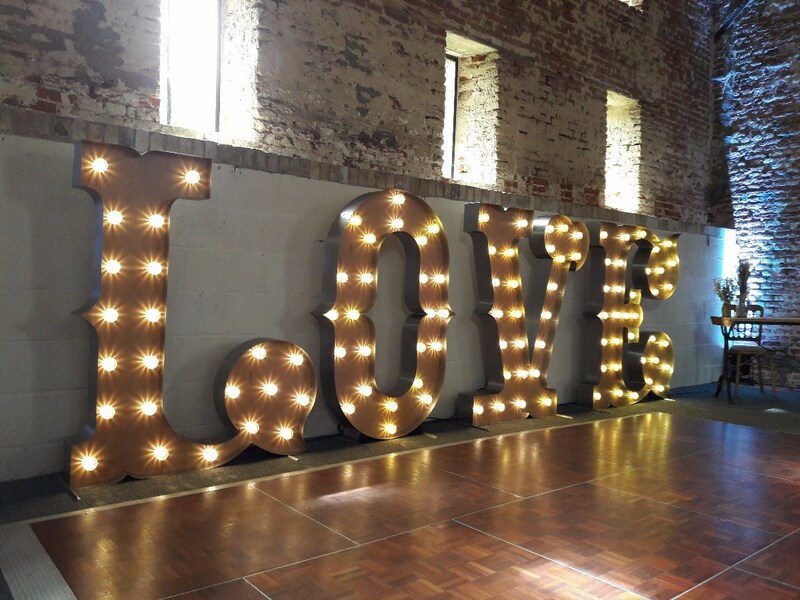 Let There Be Light's impressive range of lights come in various styles from rustic vintage, intricate circus font, classic curvy whites and remote controlled colour changers. 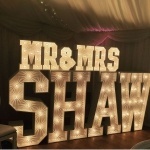 Sizes range from 4ft tall to an industry leading 7ft tall. 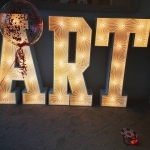 In addition to letters and numbers Let There Be Light also have many great add ons including a giant heart arch, heart light box and magic mirror photo booth. 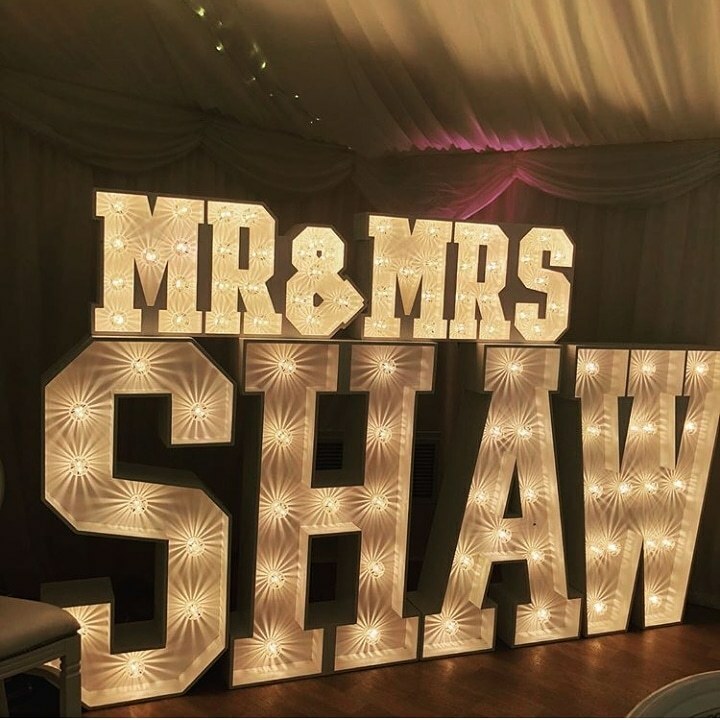 These lights are guaranteed to add the WOW factor to all occasions. 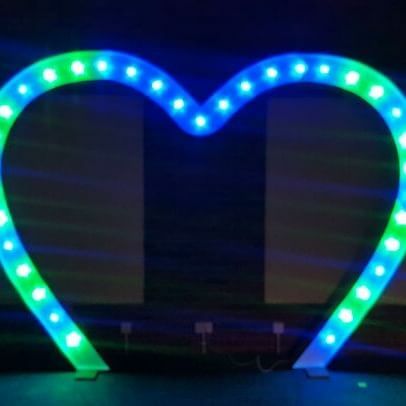 All lights are PAT tested and come with LED bulbs which run cool and are not prone to blowing like traditional bulbs. 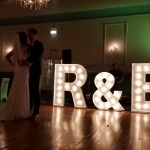 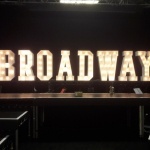 Let There Be Lights' standard package consists of 3 x 4ft tall white letters - perfect for initials or I DO. 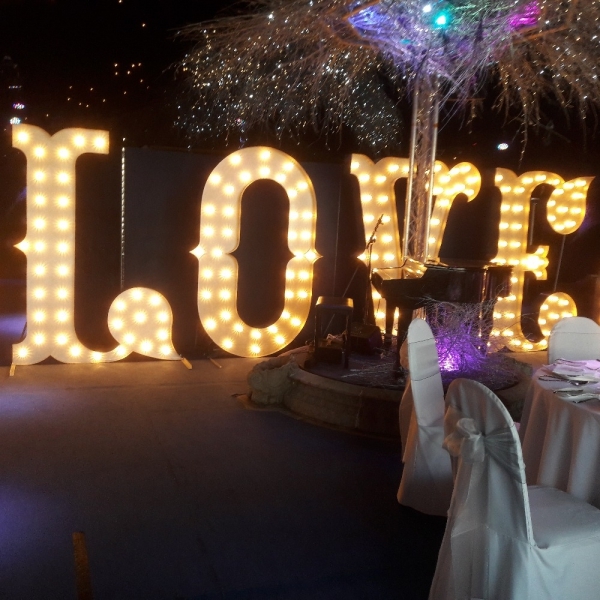 All letters and numbers are available so please contact an Alive Network booking agent for a quote for a specific word or a name. 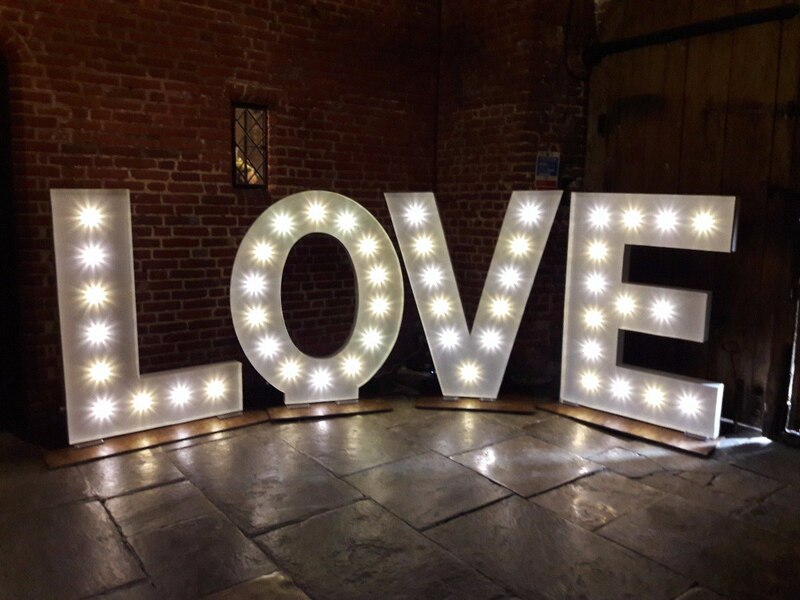 As standard, all light bulbs are white but warmer white, pink, red or blue bulbs are available by request to fit to your colour scheme! 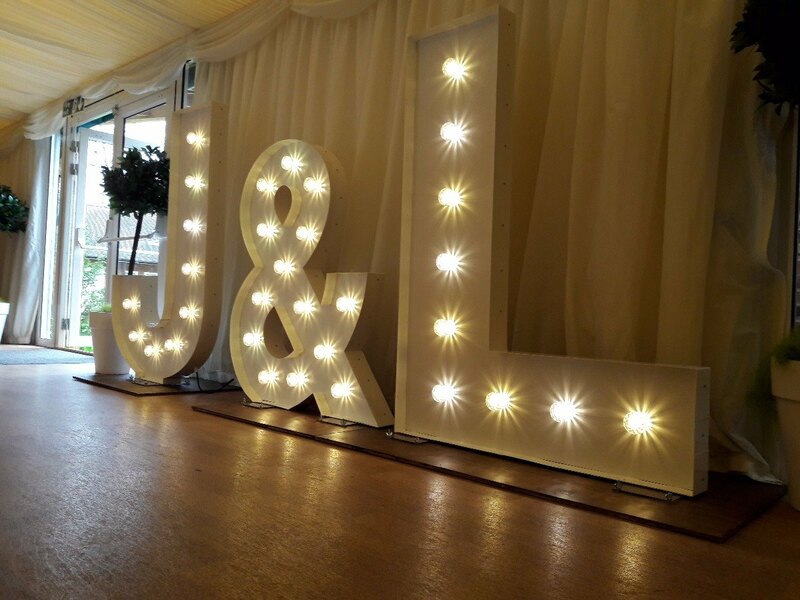 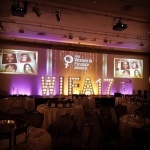 Depending on location and venue permission, lights are usually delivered on the morning of your event and picked up at the end of your event or the following morning. 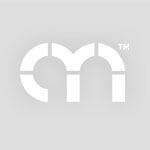 Please discuss with an Alive Network booking agent for more details.